Thane is a beautiful city in the state of Maharashtra and a part of the Mumbai Metropolitan Region (MMR) that has come a long way over the years. Every element of this city is modern, fun and exciting. From dawn to dusk, this city is thriving with opportunities and a modern-day lifestyle that goes beyond the ordinary. In fact, a number of MNCs have settled down in Thane today. With clean & broad roads, wide open greens and a real estate market that is on a constant rise, Thane has turned into one of the most preferred residential as well as investment destination. There is a lot to this rising city other than what meets the eye. 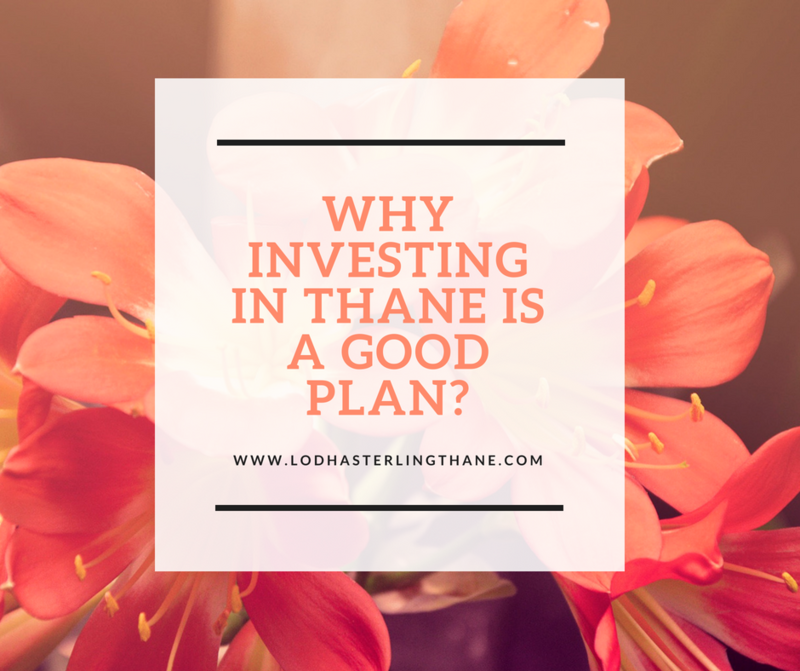 If you are not convinced, here are 5 reasons why Thane is an ideal location to invest in. It is an undeniable fact that Mumbai has witnessed remarkable growth over the past decade, but it is witnessing a space crunch today. A number of popular locations in Mumbai feel cramped up, as if you were in a cage. On the other hand, Thane is a well-planned city that offers modern infrastructure and ample amount of space for big developments are spacious residencies that people are looking for these days. Every development is well-spaced from the other, leading to better air-flow, improved privacy a free atmosphere. Once you step in Thane you will see a number of high-rise towers that practically touch the sky. Although this city has construction space in abundance, you will find the finest high-rise towers that are designed to please. If you ever want to know what modern-day architecture looks like, Thane is where you should be. A number of localities have residential and commercial towers that are truly mind blowing. A number of popular real estate companies have rooted themselves in Thane today. No matter where you go, you will definitely find residential as well as commercial projects by the biggest names in the real estate market. Lodha Sterling by Lodha Group is one fine example of residential projects built by the best. Purchasing property released by well-known companies has its brownie points as its increases property value to a whole new level. It is a known fact that many people who have jobs in Mumbai, reside in Thane as property in this city is more affordable. Since Thane neighbours Mumbai, it offers fast and easy connectivity to a number of suburbs in Mumbai and makes it easy to travel whenever needed. Living in Thane lets you enjoy the best of both worlds each and every day. Along with its physical infrastructure, Thane’s social infrastructure has also grown to a great extent. From party places, to renowned schools, colleges, malls, multiplexes, shopping centres, hospitals, medical centres and more, Thane has them all and lets you live a modern-day lifestyle. Thane is a city that has a charm of its own. As the property prices in this city keep growing at a steady rate, investing in this city will surely generate good returns in the days to come. Without a doubt, Thane is the best city in the Mumbai Metropolitan Region (MMR) that offers you residential space that is worth every rupee spent.